The Kia Forte is a compact car but seems to be growing. The 2019 model year saw a refresh of the look and a little extra girth. The Forte added 3.2 inches, which you’ll find in its passenger room and trunk space. This Kia has also got a more chiseled look, with tiger-nose grille and fiercely cut lines. After these changes, it’s time to see how the Forte stacks up to the competition. In this comparison guide, we compare the 2019 Kia Forte to the Toyota Corolla. Which of these cars has more of what you’ll love? We go through the features step by step. The Forte might still be pretty small, but this Kia is still big enough to beat the competition. One of the benefits of a wider and longer Forte is the increased passenger space. The Forte has 39.3 inches of head room in front and 37.5 inches in back. What about that oft-coveted leg room? You’re looking at 42.2 inches in front and 35.7 in back. That’s impressive passenger space for a compact car. The Toyota Corolla doesn’t fare quite as well. The Corolla has less head and legroom in each of the four measurements. In the front, you have 38.3 inches of headroom and 41.1 inches of leg room. And in the back, there’s 37.1 inches of headroom and a cramped 29.2 inches of legroom. That makes for a very uncomfortable ride in back for the grownups. Continuing the trend, the 2019 Kia Forte increased its trunk space this year, even if only a bit. The trunk went from holding 14.9 cubic feet to 15.1 cubes. Still, a trunk this size is one of the best in the class. Just compare it to the trunk of the Toyota Corolla, which measures just 13 cubic feet. Extra space can make quite a difference, especially when space is at a premium. It’s not just the Kia’s cabin and trunk that are bigger. 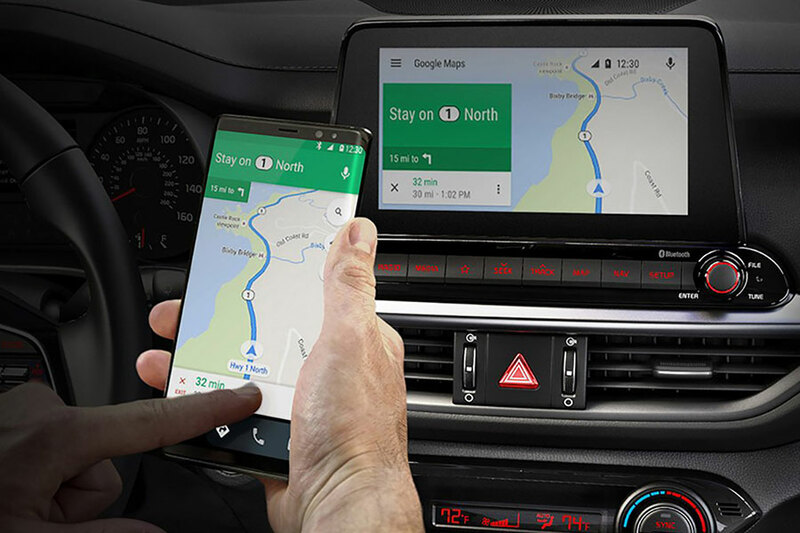 The standard infotainment screen is a whopping 8 inches and comes standard, along with Apple CarPlay and Android Auto for smartphone integration. 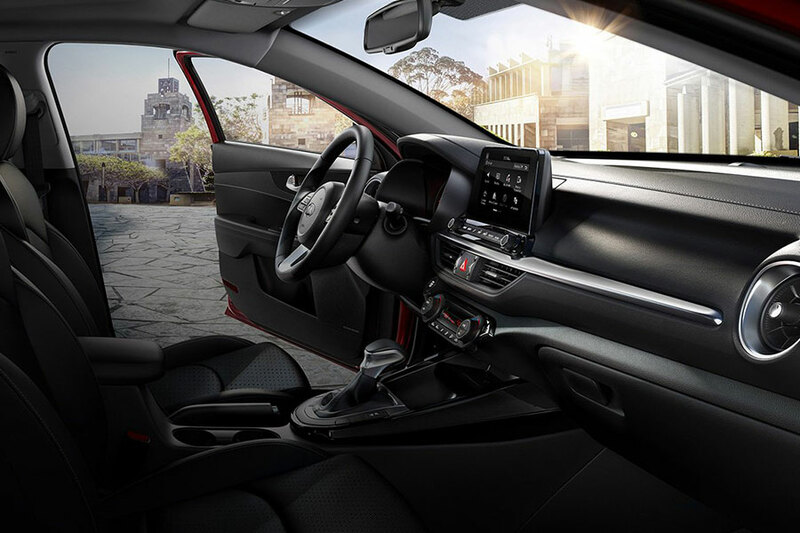 You also have optional wireless phone-charging pad, plus a host of active-safety features like adaptive cruise control, blind-spot monitoring, lane-keeping assist, and forward-collision warning. All that tech is hailed as user-friendly and pretty affordable compared to the Forte’s competitors. Speaking of competitors, the Toyota Corolla offers a 6-inch standard touch screen. You can get Apple CarPlay, but not as a standard feature. And Android Auto isn’t available at all because Toyota offers Amazon Alexa instead. Besides that, the safety available is comparable to what Kia offers, but Toyota gives them to you at a higher price point. Toyota has updated its Entune infotainment system, now in its third incarnation, but initial response is that Entune is complicated and slow to respond. For our money, bigger turns out to be better. 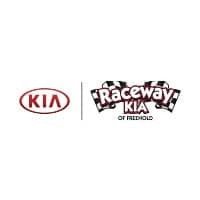 Consider the 2019 Kia Forte. It grew up a little, but stays small enough to be the zippy commuter car compacts should be.